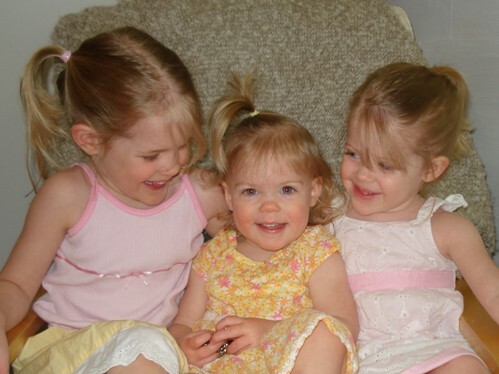 This is probably a bit off-topic, but I was fascinated by the response to my question about dressing children in coordinated outfits, and I wanted to share more about what I meant by coordinating (okay, and maybe I wanted to show off my cute girls too!). I usually make sure my boys coordinate rather than totally match. In fact I take my own advice on this one… for photography clients I urge them to think of the entire family (or siblings) as 1 complete outfit. So I ask them to pick one person’s clothing and work around that. 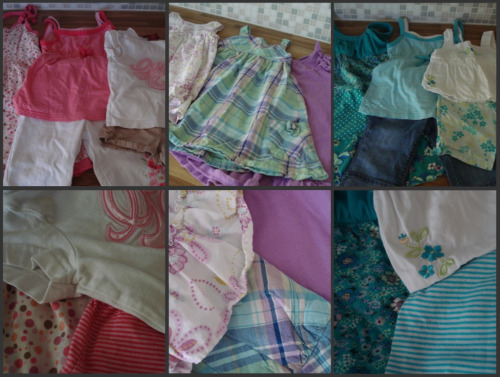 For example, my oldest will wear some cute plaid shorts and a solid colored shirt that matches a color from the shorts. The younger one will wear shorts (color pulled from older brother’s shorts) and a coordinating shirt. I hope that makes sense?! It makes for great pictures, and I take pictures… all. the. time. I know some people mentioned that putting their kids in coordinating outfits was way more stress or planning than they needed, and I absolutely think that is okay! Like I said, it comes naturally for me to think that way, so it doesn’t really cause me more stress or take more time than grabbing non-coordinating clothes, but my first rule is to do what works for your family, and you know I’m all about simplicity. There was also concern that my girls might be upset by being forced to match. I will admit that I choose their clothes for special occasions, and in those cases, what Momma says goes. But for the most part, they don’t really care what they wear (although my oldest only wears dresses). If they do request a certain outfit, I’m happy to oblige. I’m not sure at this point that they have any idea that their clothes coordinate because they are different brands, styles and materials. They simply come from the same color families. If you haven’t yet shared your opinion about matching and/or coordinating outfits, feel free to add those here! Do you dress your kids alike? Do you like – or hate – matching outfits? Do you try to coordinate the colors they wear?